I've had a number of packages arrive lately, so I've decided to post them in 3 parts - eBay, Sasa, and Cosmetic Love. Haha, it seems like a lot, right? Well, I like to make on-line purchases at about the same time each month, so all the packages end up arriving nearly at once. Weirdly, though they were advertised as 'without lenses', they did come with lenses - the tinted sunglasses type. So I just got my Dad to help me pop them out - I was worried the frame might snap from the pressure but luckily the lenses came out easily enough. I picked up 2 lipsticks and some accessories at the shops, but I'll post those pics another time. But I had already worn one pair before I realised they didn't look the same as the ones I picked. Haha, I do like them quite a bit though! 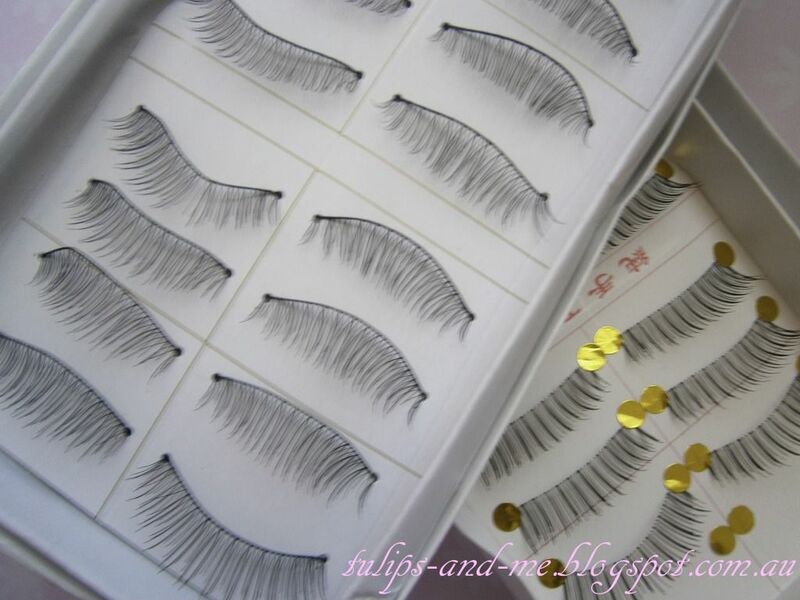 They look really long, but due to the thinness of the lashes they look pretty natural. That's it for my eBay purchases~ I'll probably try to spread my haul posts out a bit, so the next update will either be a review of some kind, or a non-beauty/shopping related post? OMG! I love those HK glasses! Super cute! Yeah, they are still pretty cute so it's not a problem. Hehe, the glasses are quite fun to wear! 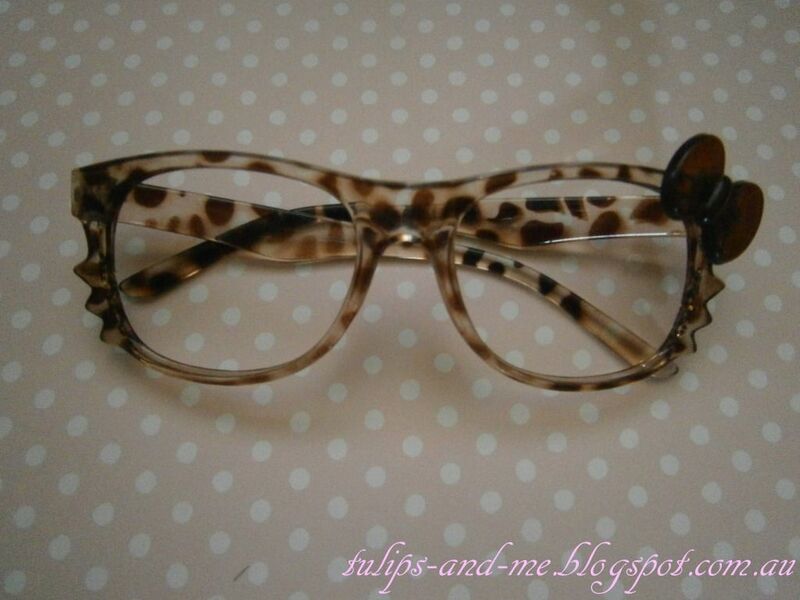 Omg those glasses are amazingly adorable. I love, love, love them! omg the hello kitty glasses are so cute!! I saw them on ebay the other day and put it in my shopping cart haha!